Quality – Regardless of the sheet metal companies you research, only consider those capable of producing a superior quality product. Whether you need a part or component for your manufacturing process or as part of a finished product for your customers, remember that even a slight error could have devastating results. Capabilities – This too is a crucial aspect of selecting a company. Along with the sheet metal fabrication process, you should go with a manufacturer that offers a host of additional services. 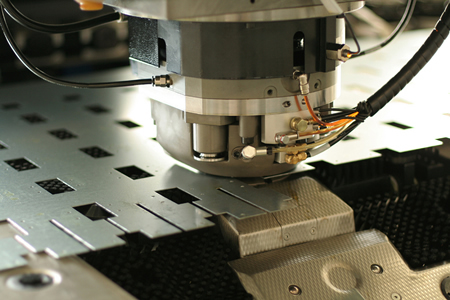 Focus on companies that provide contract manufacturing, design engineering, prototyping, laser cutting, welding, assembly, and more. That way, you end up with one trusted source for all your current and future needs. The price quoted by sheet metal fabrication companies is also an important consideration. However, when you select a manufacturing company with a stellar reputation, you can expect a cost-saving solution. If you make these things your top priority when researching the best sheet metal companies, combined with reading customer feedback and posts on industry-related review sites, you will have no problem narrowing your choices down to one. At Weldflow Metal Products, our No. 1 goal is achieving 100 percent customer satisfaction, which we accomplish by possessing all of the mentioned qualities, plus more. We invite you to visit our website to learn more about our company and product offerings or call to speak with a representative today about your specific needs. This entry was posted in Sheet Metal Fabrication and tagged sheet metal companies. Bookmark the permalink.